Or put more bluntly still, French citizens are being encouraged through the tax system to subsidise an illegal, belligerent occupation of the Palestinians by the Israeli army. 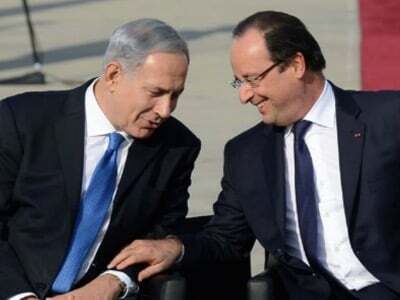 It underscores the sheer hypocrisy of the French government as it claims to be trying to resolve the Israeli-Palestinian conflict through “peace-making” at the United Nations. Maybe one should not be too surprised. After all, the United States and most European countries, including the UK and France, make donations to the Jewish National Fund tax-deductible, even though one of the JNF’s primary activities has been concealing war crimes committed by the Israeli army during the 1948 and 1967 wars: by planting and maintaining forests over more than 500 Palestinian communities that were destroyed by Israel after their inhabitants had been forcibly expelled. The thickly planted pine forests not only provide year-round cover of the sites of destruction, but in the state’s early years ensured that any Palestinian refugee who managed to return to his or her village would find no place to rebuild their home. Why are these facts not more widely known. Both because the media make no effort to expose these abuses of taxpayers’ money, and because the rare politician who speaks out, like Goulet, is quickly terrorised back into silence. Below is an English translation, provided by John Whitbeck, of the original article, which can be found here. 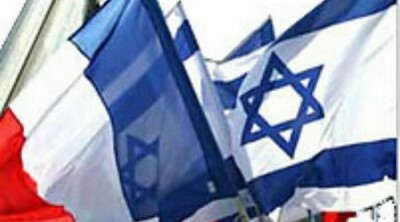 Nathalie Goulet, a Senator for the UDI [centrist] party representing the Orne [a French department], announced on Friday that she had received death threats on social networks after she expressed astonishment regarding a 60% tax reduction available to French taxpayers who make a gift to the Israeli army. The minister has not yet responded to the question of the Senator, who is also vice-president of the foreign affairs, defense and armed forces commission of the Senate. On the other hand, Nathalie Goulet declared Friday to Agence France-Presse that she had received anonymous death threats on social networks.